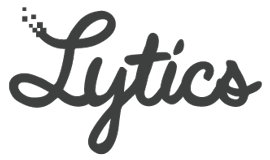 Lytics is a data hub built for marketers. Connect the first-party user data from your marketing tools and create audience segments based on cross-channel behaviors. Export these segments back to your tools with the click of a button to increase marketing precision. With Lytics and Optimizely, you can build highly-targeted segments to target in your experiments. Connect email, social, websites and mobile data, and then segment user&apos;s based on the whole picture of how they&apos;re interacting with the brand. Use these behavior-based segments to test personalized brand experiences and learn what truly resonates with your users.